Below are items selected by Anthony Reece as a basic “starter package” for your home studio. This studio gear, does NOT include your choice of several FREE AUDIO SOFTWARE available throughout the internet. We have free audio software several options within the VO101 Store to software and single products. However the package below is turn-key and designed by Anthony to help you “cut corners” and grab a complete voice over recording suite for your home, or small office. SO WHAT BASICS DO YOU REALLY NEED IN A HOME STUDIO? * a set of cheap blankets to place on the wall around your mic to kill any echo / noise around it. 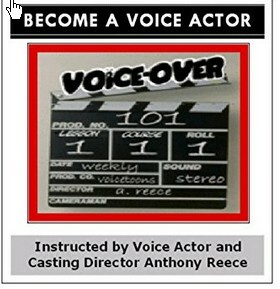 If Interested Here is a Under $500 VO Studio Equipment Set-Up for Beginner Voice Talent! Step 1: Click on banner at right, register for a FREE Musicians Friend Account. Step 2: This account is yours to purchase the products below. Stay logged in once done. Step 3: After done creating your account, re-open this window and return here. Step 4: Click on each link to products you desire, one at a time below. Step 5: ADD each product to your “shopping cart” when taken back to Musicians Friend. Step 7: Check out of Musicians Friend. They will ship products to your home. Select ALL or only the voice over studio equipment or products you desire at this time. Most are necessary to record professional content at home to your computer, or mac. This small mixer environment, gives you more control over the audio sent to your sound-card. You can also elect to use a USB microphone, recording directly to your pc, or mac. This option bypasses a mixer but gives you NO control over your mic level or equalization. * * Next to any item means it is “optional gear” at this point in your studio set-up.